When is Payment Taken and When do I Own the Gold? As we constantly buy and sell bullion from the secondary market we may experience times where demand is higher than supply. When this happens, bullion items go to a "sourced to order" status. We will only allow products to revert to a "sourced to order" status if we know we buy them in fairly readily. However, if there is something you have seen which is not in stock, (and you are happy to wait indefinitely), please let us know. You can view the positives of this here. We have offered this service for 50+ years to hundreds of customers. Sometimes we have the items in stock for a speedy delivery, sometimes customers may experience a delay of weeks or even months! Our longest delay, albeit unusual, was 10 months in 2009, just after the big recession due to the banking crisis. We continued to offer the service due to feedback from customers who appreciated the option to fix when gold was right for them, despite items not being ready for physical delivery. Not only did it allow customers to quickly fix and own their gold, it gave them "free storage". If you are lucky enough to beat the market; buy when low and sell when high without even physically receiving stock, you have saved on postage or storage costs, not had the hassle ensuring someone is in to take delivery AND you've made a profit! 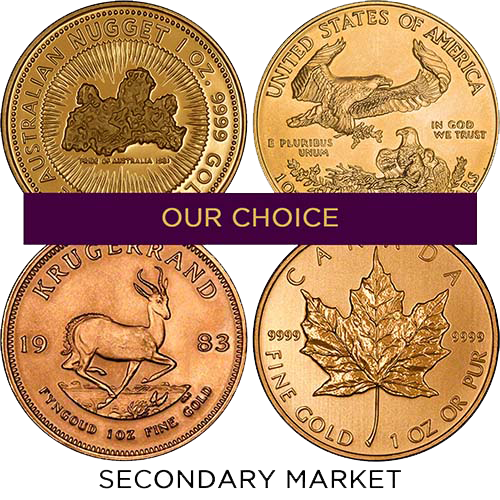 We actively source bullion sovereigns from the secondary market, whether we have them in stock or not as they are such a good thing to buy! If there is a delay it's because it's such a good investment. Everyone wants them. The delay can range from days to months. Unfortunately, we can't even give you a estimate because it can change from day to day. As soon as we estimate 4 weeks, we manage to source 1000s of sovereigns the following day. 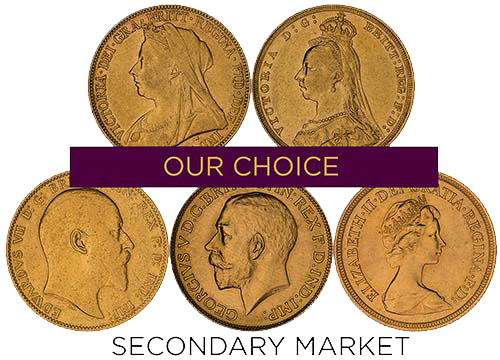 We will buy the secondary market sovereigns from non-wholesale channels in order for us to pass a better price over to you! Sometimes, you may see us offering 100% for sovereigns when we are low in stock. We haven't forgotten about you! As these products are based on the fluctuations of precious metals, they are exempt from The Consumer Contracts (Information, Cancellation and Additional Charges) Regulations 2013. This includes refunds. Therefore we will offer the option to sell back. Alternatively, you may exchange or upgrade if you have not yet taken physical delivery of your items. You can find more information in our Terms. Payment is taken after you have requested your order as payment is needed to secure your price with a fix at the current live price. You will own the gold as soon as your payment has cleared, and we have accepted your order. We will confirm by telephone and email once your order has been accepted. From this point on you will have the option to receive weekly updates about the progress of your order. As you own the gold, our team will provide various options during your weekly updates. They will quote a current buy back price and upgrade / exchange options for items we have in stock for immediate delivery. When you request your order, we will contact you to confirm that we have received your order. At this point, we will explain what "sourced to order" means. We will give you an option to request a refund on your items if you feel the delay may be too long. There will not be an option for a refund after this point but our staff will explain further the options of selling back or upgrading and exchanging. If you decide to go ahead with your order, and we hope you do, we will provide you with weekly updates on the status of your order via telephone and/or email. We understand that some may think we should not be offering for sale items which are not in stock. However, over the years we have had, and still have customers who like the opportunity to buy when they want, whether stock is available or not. Sometimes we cannot please everyone, so if you see a "sourced to order" product and do not want to experience any delays in receiving your investment, please wait for the status to change to "available". weekly service offering you up to date buy back prices on your order. (You won't get that after it has left our showroom). It doesn't go without saying, that on occasion we may experience negative feedback from those customers who have not fully understood the idea of a "sourced to order" product. This could also mean that we are not explaining ourselves properly. If there is at any point any uncertainty on the status of a product, please contact our friendly team who will be happy to help. It saves us having to refuse cancellation requests for investment products further down the line. We don't like sharing bad news! We always welcome constructive criticism to improve our service to you. One of these updates included in stock alternatives at the basket for "sourced to order" products. If you have any other ideas which can help both you and us, please let us know. Unfortunately, not offering them for sale is not an option. We don't want to disappoint the customers that take advantage of this already.